Blues coach Brad Fittler believes Billy Slater should not have won the medal. RUGBY league legends Brad Fittler and Darren Lockyer were caught in a somewhat awkward on-air spat over the controversial postscript to the State of Origin series. The decision to award Billy Slater the Wally Lewis Medal as player of the series has been met with confusion and anger from fans, particularly those from south of the Tweed River. The reason for the confusion is Slater only played two of the three games, in a losing team, and arguably wasn't even Queensland's best player in game three. Despite that, Lockyer - who votes on the medal along with Australian selectors Mal Meninga and Laurie Daley - has since revealed Slater won the medal by a long way in the poll. 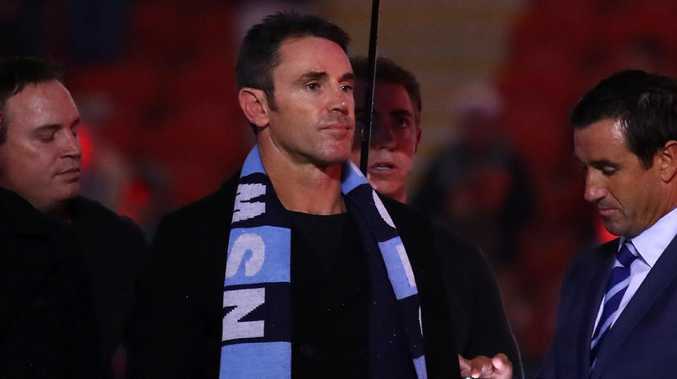 Fittler had largely brushed aside the controversy until he appeared on Channel Nine's Sunday Footy Show where the issue was raised once again. Sitting across the table from fellow Channel Nine panellist Lockyer, Fittler looked noticeably annoyed as he questioned how Slater could have polled so many votes. Fittler argued Slater didn't deserve so many votes in Origin II because the Maroons fullback failed to create points for his team when they were attacking a 12-man defensive line late in the game. 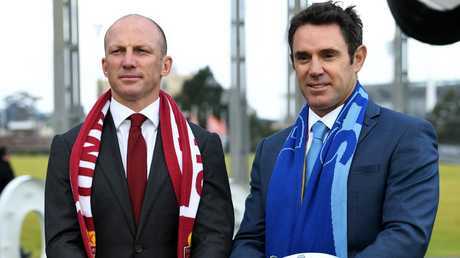 State of Origin legends Darren Lockyer and Brad Fittler. "I couldn't understand why Billy was so far ahead (in the votes)," Fittler said. "Considering Billy is an attacking player and what he does to a team is create numbers … in the second game they had the opportunity with 12 (NSW) players in the last 10 minutes to win the game. That's what Billy does, Billy should have taken control then. "To be the best player, to be that far ahead on points, that's why I couldn't understand why (James) Tedesco, (Damien) Cook, maybe Tom Trbojevic, James Maloney … Billy had that opportunity in game two and didn't take it, that's why I couldn't understand how he had so many points. "Outside that it's all opinion, it's good debate. "I think he had a great game, and his start to the game was excellent and really got them on the front foot and gave them the zip they needed. "But to not nail the end, I couldn't understand how he got so many points in game two that had him so far in front of everyone else." Footy Show host Peter Sterling defended the three medal voters, one of which was sitting next to him at the time. Fittler was quick to take one last crack after Sterling suggested Lockyer, Meninga, and Daley should not have their credentials or integrity questioned. "That's why we put them in that difficult situation, because they are the people we want to pick the award," Fittler said. Lockyer didn't argue back at Fittler, only to say "we've got own the decision". But the Kangaroos great did admit the voting system was potentially flawed, and expects the NRL to change the system when they review it in the wake of the Origin series. 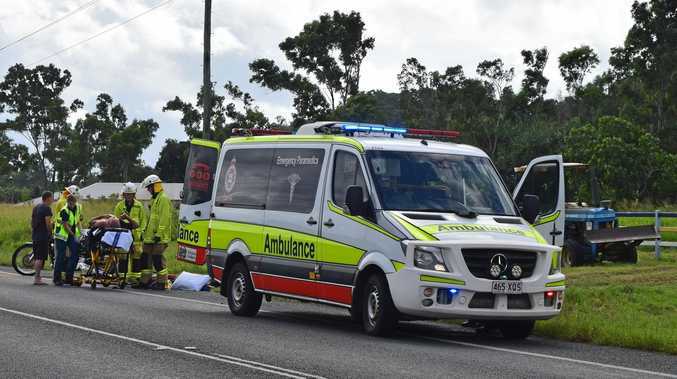 "Obviously the system can be better and it's being reviewed, there will be changes made that will get a better outcome," Lockyer said. "I think the points system works for a (man of the match) … then you have to step aside from game three and then look at the series overall, and between the three of us decide who we think has been the most influential and best player across the series. "It's been very controversial and I'm sure there will be tweaks made."